A nice home in the gated Community of Sunset Beach, with a private access through a guard gate insures security and exclusive living. The home features 3 bedrooms and 2 baths. The main living area has travertine flooring and the bedrooms are carpeted. The kitchen and baths have been upgraded with granite counters,the kitchen has stainless steel appliances. The property overlooks the lake and 5th hole of the Marsh golf course which can be viewed from the screened porch or patio. Sunset Beach owners have their own clubhouse, pool and beach area on the bay. 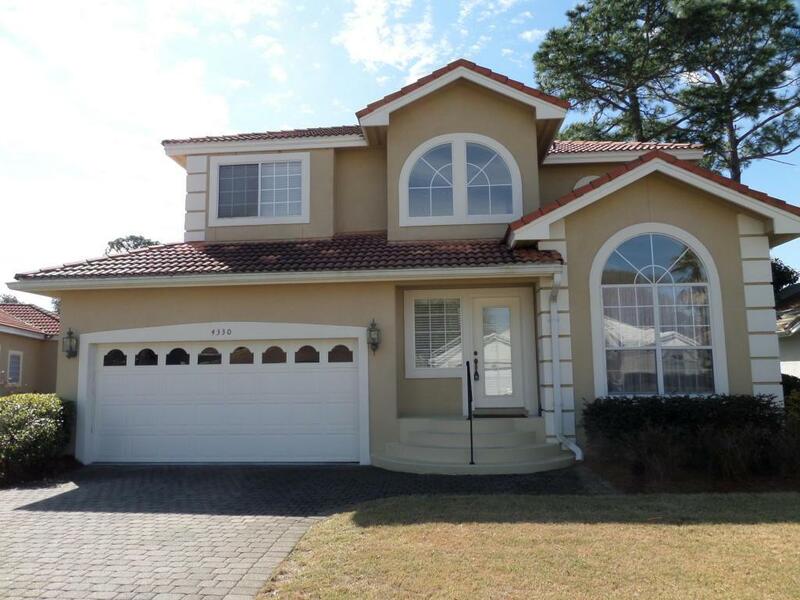 Homeowners association includes all exterior landscaping maintenance so you can enjoy the amenities of Bluewater Bay tennis, swimming, golf and restaurants etc.SELLER IS OFFERING A $5,000 DECORATING ALLOWANCE WITH A FULL PRICE OFFER.